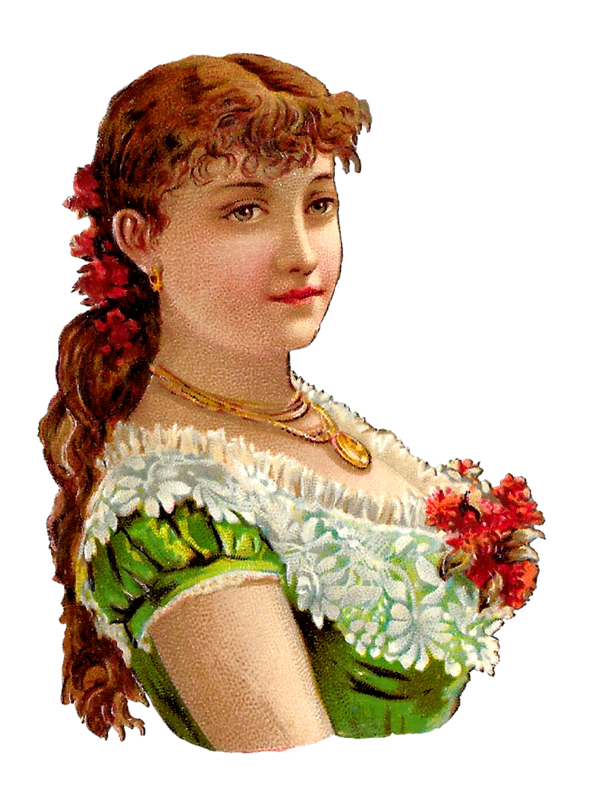 Today I've posted a lovely, antique, Victorian woman clipart image of a beautiful woman wearing a green, short-sleeved dress. The dress collar is fringed in white lace that has a floral design. 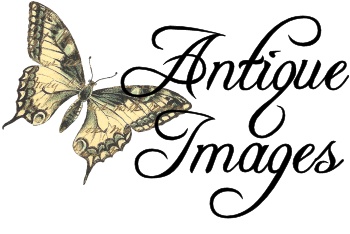 The Victorian woman is wearing her hair down, which is so beautiful! 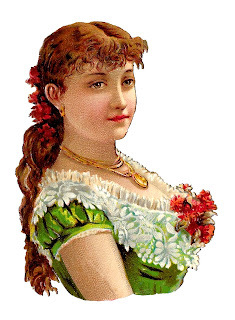 She also has red flowers in her hair and pinned to the front of her dress.What a lovely fashion image to use in lots of crafting projects.